Bosses here's your last chance to give something special to your administrative professional, who has made it his or her job to make your life run smoothly. 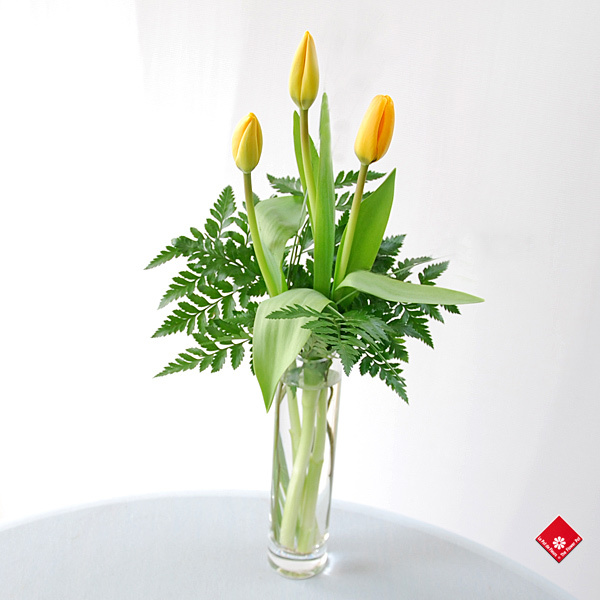 This lovely vase with springtime light-filled tulips is the perfect gift for the person who brings sunshine into your work life. If you have them delivered to the office for tomorrow, he or she can bring them home after work to enjoy them all weekend-long. If you're looking for ideas or recommendations, don't hesitate to contact us, The Flower Pot, by phone 514-938-1234, or in person. We'll be glad to help!